The password doesn’t meet complexity requirements! This e-mail already exists in Tom’s Catch! I have read and accept the legal conditions of the service and privacy. You have to accept the conditions! I’d like to receive interesting information and newsletters. 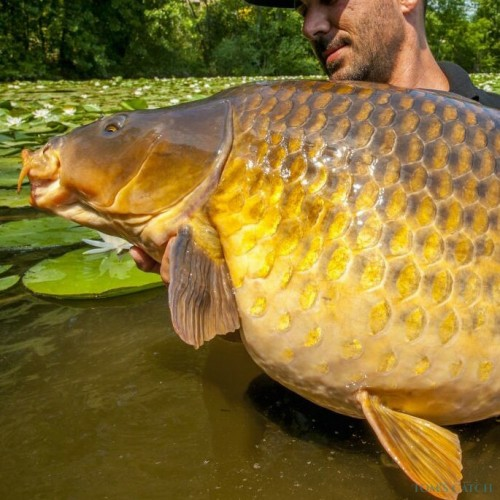 Fishing in Spain is big! 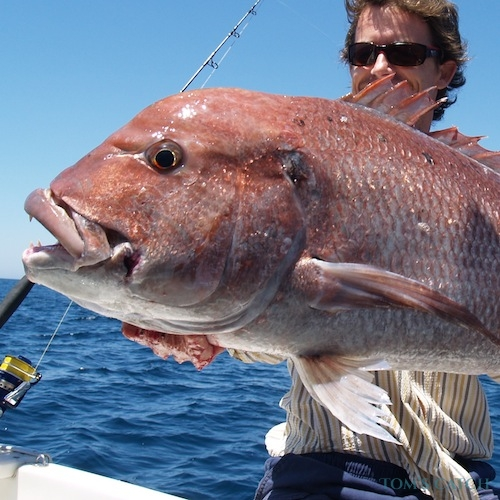 Spain is Europe's fourth largest country offering fantastic sport fishing possibilities. 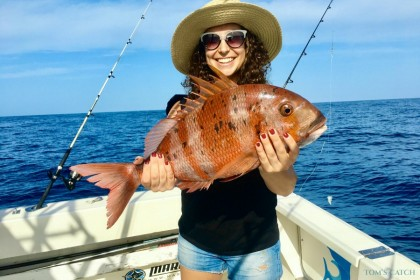 All over its vast mainland and it’s mountainous country, the Atlantic Ocean and the Mediterranean Sea and it’s archipelagos both locals and visitors go fresh-water or deep sea fishing. 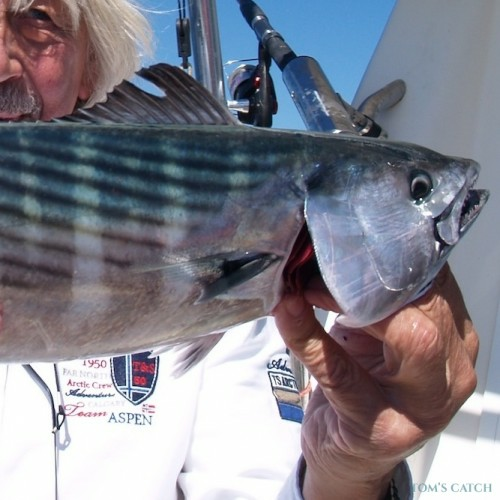 Here is all you need to know about fishing in Spain. Mainland Spain is a mountainous country, dominated by high plateaus and mountain chains. Small rivers cross the the Pyrenees, the Cordillera Cantábrica in northern Spain, Sistema Ibérico and Central Spain. These small streams and rivers with cold water are home to trout. 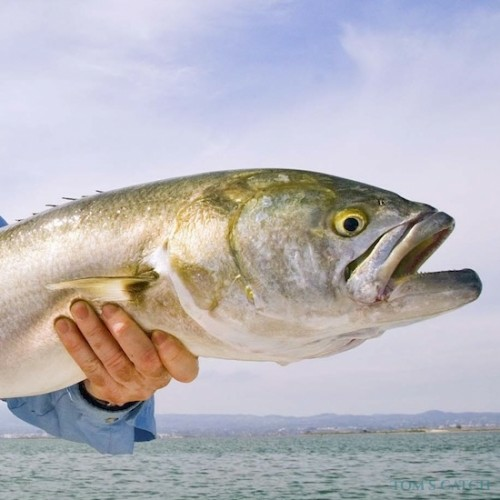 There are several major rivers for fishing in Spain such as the Tagus (Tajo), Ebro, Guadiana, Douro (Duero), Guadalquivir, Júcar, Segura, Turia and Minho (Miño). They all hold carp, barbel, silver fish, black bass , sander and catfish. The colder river like upper Ebro, Doura and Turia for example also hold pike. The Ebro - the most important river in Spain in terms of length, 928 kilometres - has several well known reservoirs. 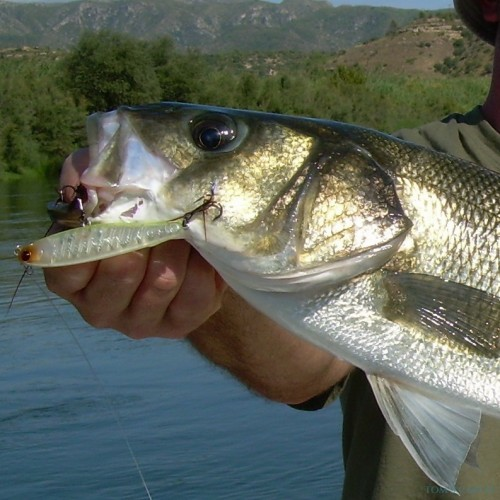 Caspe, Mequinenza, Flix, Ribaroja are all popular destinations for carp and catfish fishermen. The Ebro Delta, in the Province of Tarragona, Catalonia, is at 340 square kilometres, one of the largest wetland areas in the western Mediterranean region. It is believed that deforestation of areas like “los Monegros” in Aragon caused large scale erosion with brought large quantities of sediment into the Ebro. The delta has expanded rapidly on soils washed downriver into the Mediterranean Sea. 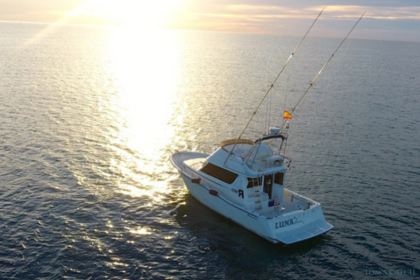 The Ebro Delta is one of the best places to go fishing in Spain along the Catalan Coast, not to mention, the Spanish Mediterranean. The rich waters of the River Ebro empty into the Mediterranean, bringing food for all types of fish, birds, and mammals alike. 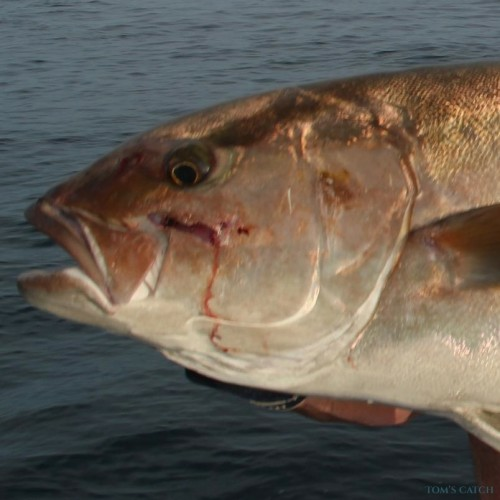 Besides the fresh water species like carp, black bass, sander and catfish, large salt water predators such as the bluefish, amberjack, leerfish, and the sea bass, inhabit these waters. The Dentex (Dentex dentex) grows up to1m (3 ft) and 16 kg (35 lb). Common in the Mediterranean Sea, Black Sea and the Eastern Atlantic Ocean. He likes sandy & rocky areas up to 200m (700ft). 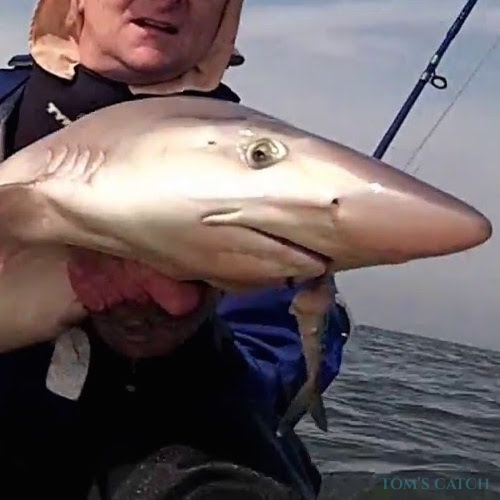 Trolling or drifting with life bait are best, jigging is also a great technique. 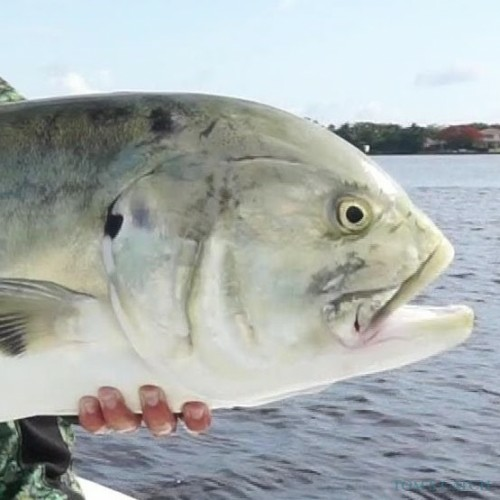 Bluefish (Pomatomus saltatrix) are one of the finest sport fishing species. 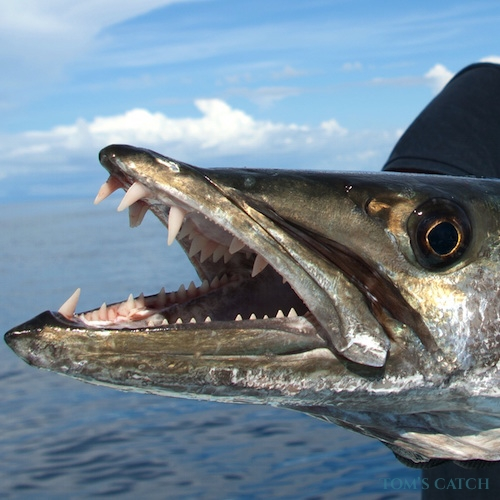 One of the best techniques used to fish them is trolling, especially using artificial lures and natural bait such as small barracuda or garfish. 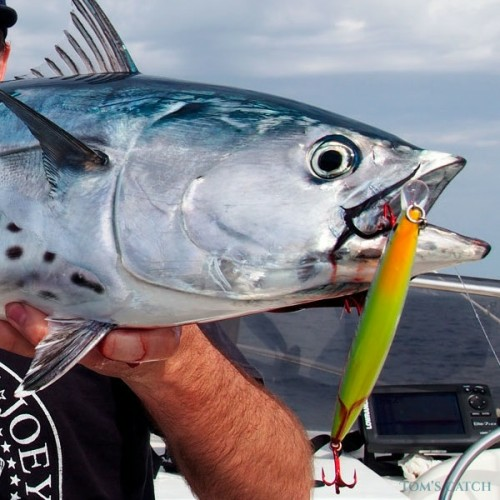 Another technique to try is to fish using a boat in well-known areas, trying to provoke the fish to take a bite with stick baits, lures or poppers. 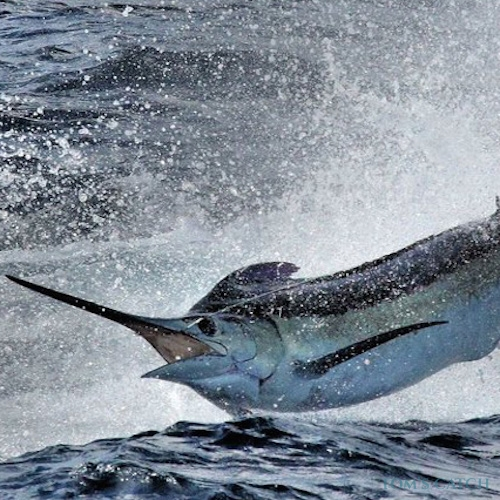 The Blue Marlin (Makaira nigricans) is probably the most wanted fish in the sport fishing world. The magnificent fighter usualy feeds during day time on fish, octopuses and squids. 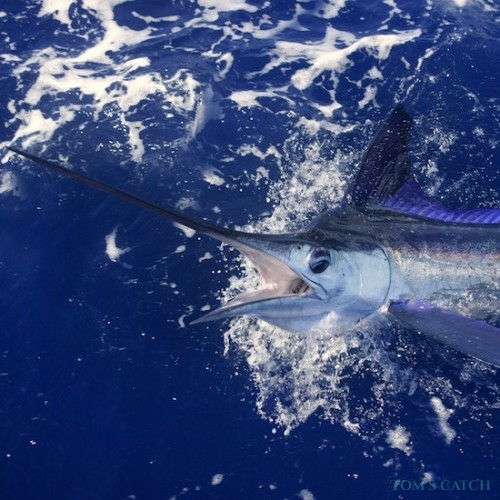 Blue Marlin is mainly caught trolling with artificial lures or with dead bait (bonito, mackerel...). 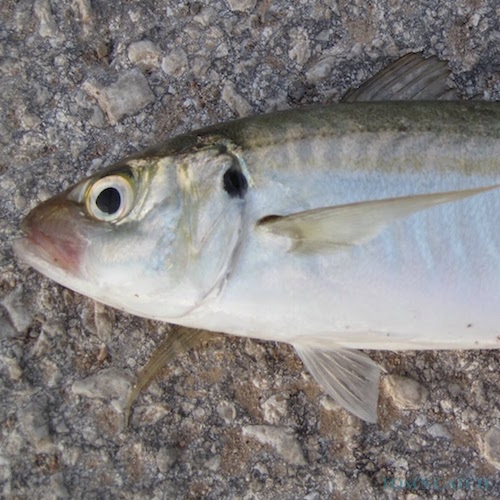 The Pink Dentex (Dentex gibbosus) - distribution from Portugal to Angola, Mediterranean Sea and Canary Islands. 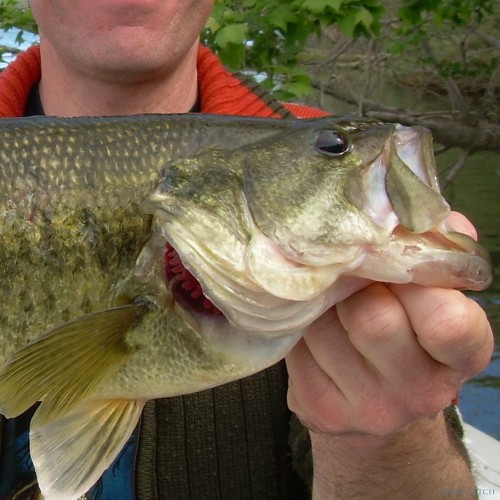 Best Techniques to catch are live bait or jigging. 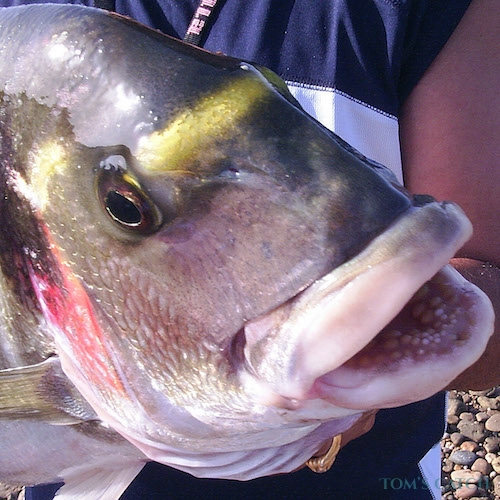 This fish is of the Balistidae family. 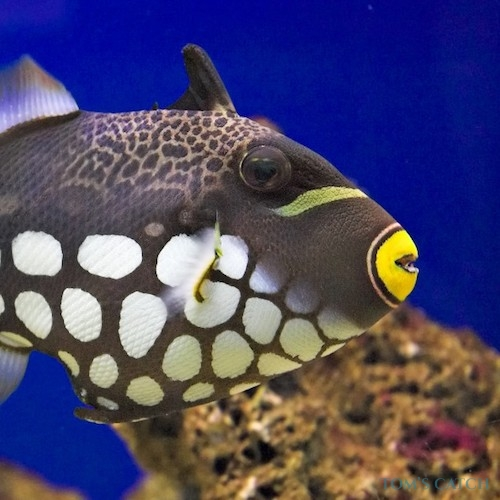 There are about 40 species of Triggerfish. 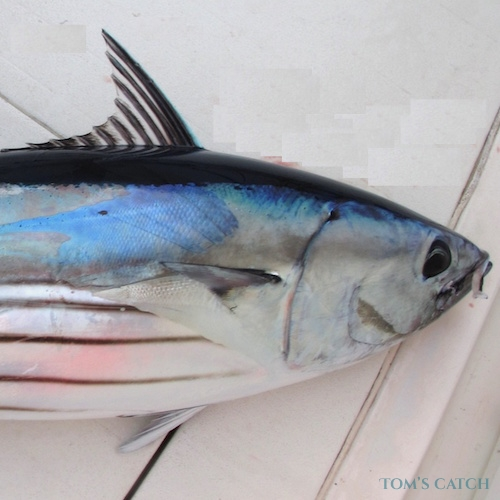 The Bluefin Tuna (Thunnus thynnus) is a pelagic fish that can grow up to 500kg (1000lb). 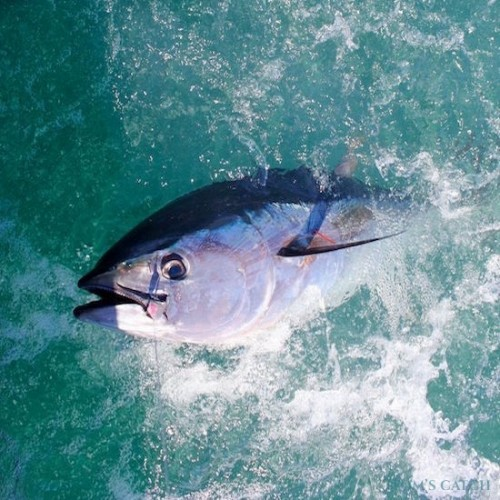 The biggest Bluefin Tuna every caught was 780kg (1496lb). 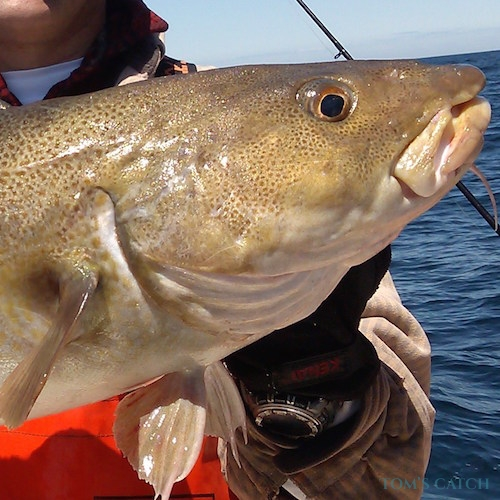 These great fighters can be caught trolling, jigging, casting or drifting mainly in off-shore. The Canaries are an archipelago located just off the southern coast of Morocco. 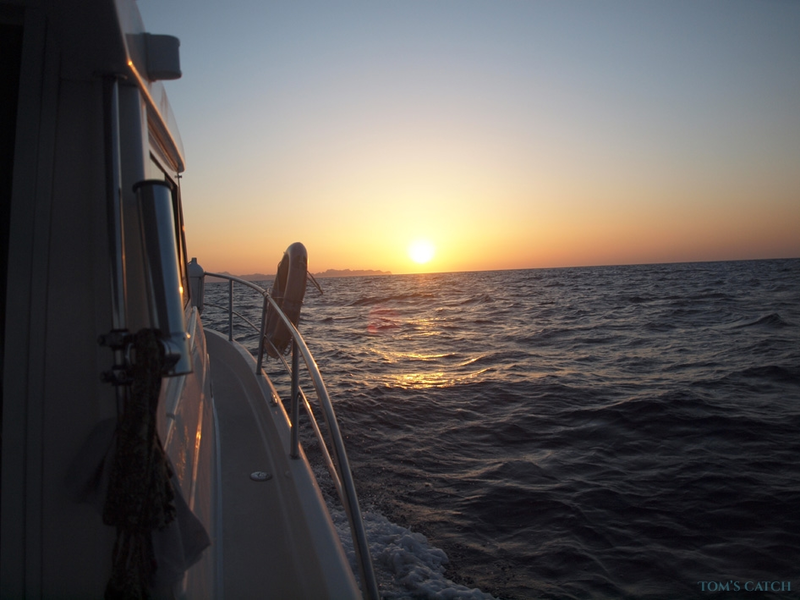 We're not always aware but they are Europe's n° 1 for sport fishing only 4 hours flying from London, Paris or Düsseldorf. 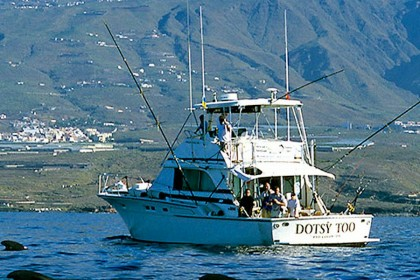 The Canary Islands are famous for their subtropical waters with plenty of sport fishing possibilities. 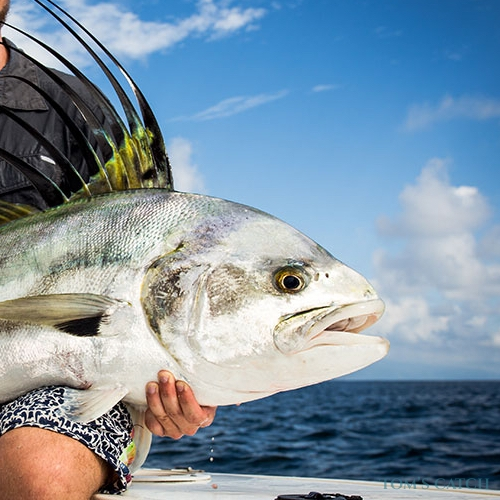 They attract anglers from all around the world to practice big game fishing, jigging and spinning around these beautiful Islands. Some islands even have carp fishing lakes! Situated on a marine bottom with over 3000 meters of depth, Tenerife, Fuerteventura, Gran Canaria, Lanzarote, La Palma, La Gomera and El Hierro are constantly nourished by the currents of the Atlantic Ocean. There are plenty of off shore seamounts that rise thousands of meters form the ocean floor and stop short of the surface. The marine nutritional chain is formed by its huge variety and quantity of species of sedentary and migratory fish, sharks and cetaceans. 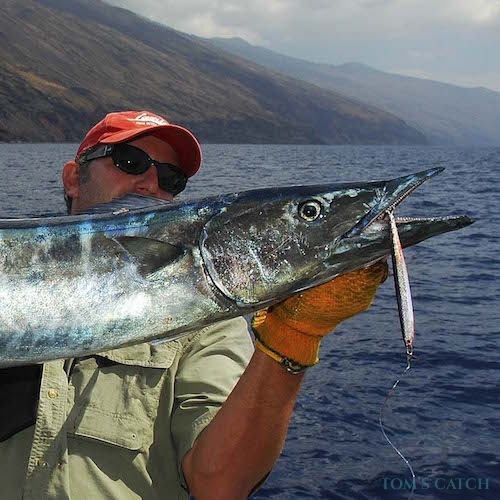 The Canaries are a privileged place for big game fishing. 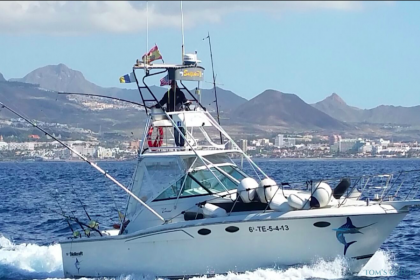 The Blue Marlin, the king of the ocean, visits the islands from June to September chasing the huge supply of pelagic baitfish such as mackerel, tuna and bonito. 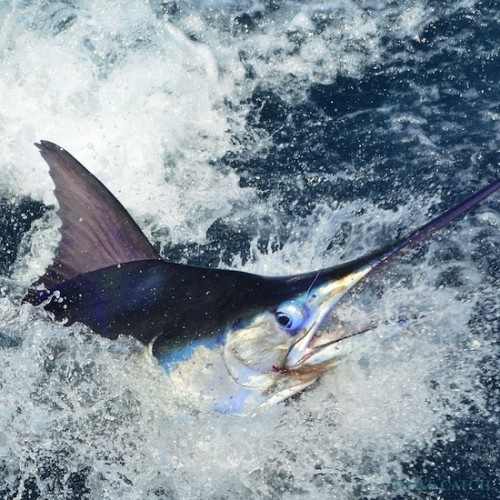 During the high season, several blue marlin up to an estimated 500 pounds are released every week. 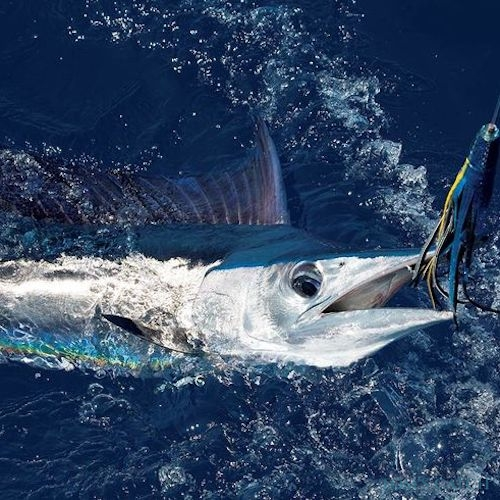 The bigger billfish can weigh up to 1100 pounds in these waters! 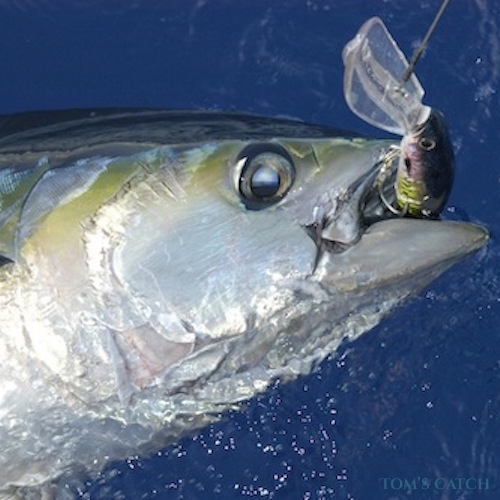 Big eye tuna, yellow fin tuna, wahoo and dolphin fish are few of many species that can be captured in the Canary Islands. The archipelago is also a paradise for jigging and spinning. The mixed bottoms with sand or other rocky zones give shelter to fascinating species, such as the Moroccan dentex, the amberjack and the grouper, among others. 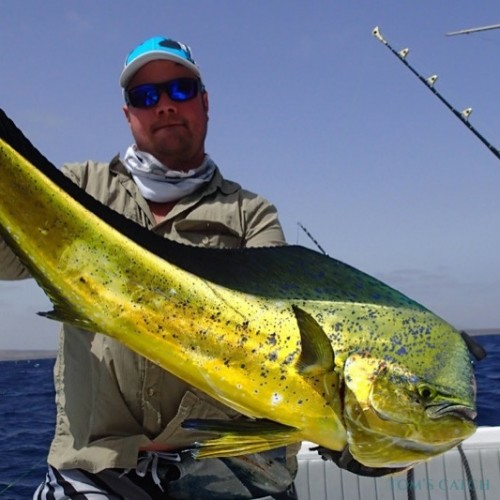 A good option to fish on this breathtaking Island is to contact a fishing charter, commanded of guides with expertise and knowledge of the area. The Strait of Gibraltar is a narrow strait that connects the Atlantic Ocean to the Mediterranean Sea and separates Gibraltar and Peninsular Spain in Europe from Morocco and Ceuta in Africa. The straight used to be known (respectively) as the Columns of Melkart, later as the Columns of Hercules. According to Greek mythology, it was Hercules who separated the Rock of Gibraltar from Monte Hacho (Ceuta) and installed two pillars to commemorate his battles against the massive giant named Geryon. In reality, the Greeks considered the Strait of Gibraltar as the end of the known world although they knew the Mediterranean very well; it symbolized the end of the known world and they feared it. The current name of the Strait of Gibraltar comes from the Arabic invasions, Gibraltar means ‘rock of the General Tarek’ (Gibr-al-Tarek). 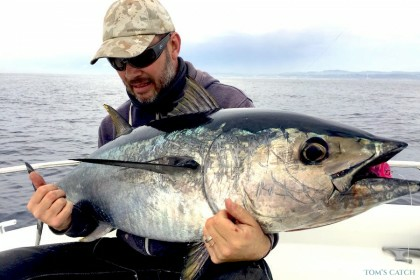 The Strait of Gibraltar is a mandatory step for migratory marine species such as the bluefin tuna; and definitely one of the best places to go fishing in Spain. The prevailing strong currents around here sometimes reach 5 knots. 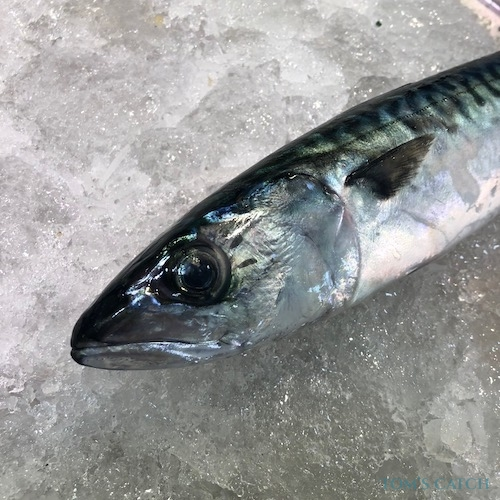 On the one hand, it makes fishing difficult, but on the other, it provides a great amount of food for small fish, which in turn attracts our preferred prey. The depths vary drastically. 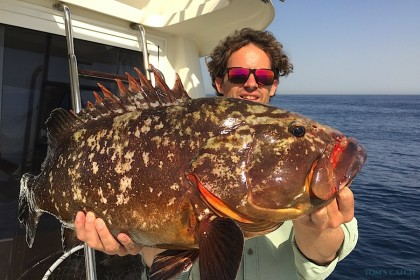 The depths, huge boulders, rocky and sandy areas provide shelter to many large predators such as the Moroccan dentex, grouper, red porgy, black spot sea bream, Atlantic wreckfish, and amberjack. The threshold of Camarinal situated next to Banco de Majuán, has a depth of 280 meters, while just outside the Bay of Algeciras there are depths of 1000 meters. 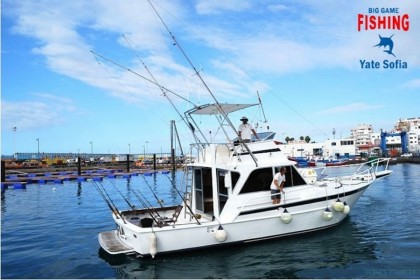 Other interesting spots for fishing are Punta Carnero, Guadalmesi, Punta de Oliveros, the ‘bajo de la Aceitera,’ the ‘bajo de Los Cabezos’ in front of Punta Paloma, Bolonia, Perejil Island, etc. 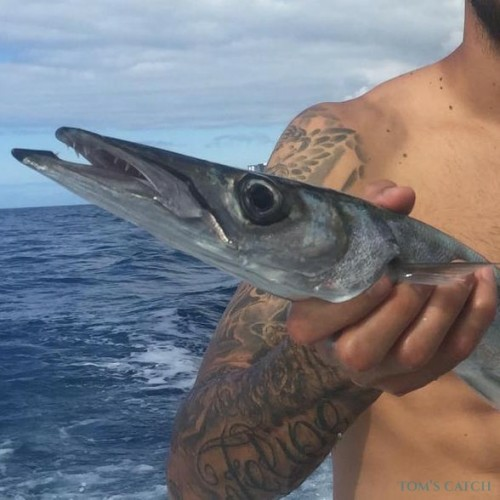 You can practice coastal and deep sea trolling; big game trolling catches giant tuna, swordfish, and marlin; deep sea fishing can also be done by, jigging, spinning and more. 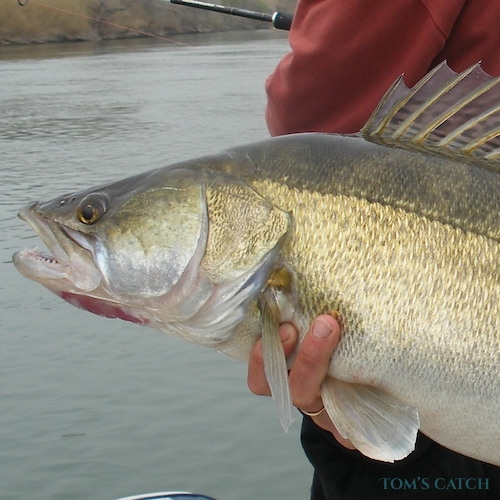 The Strait is a haven for jigging lovers. There are plenty of boulders and stones abundant with large predators. 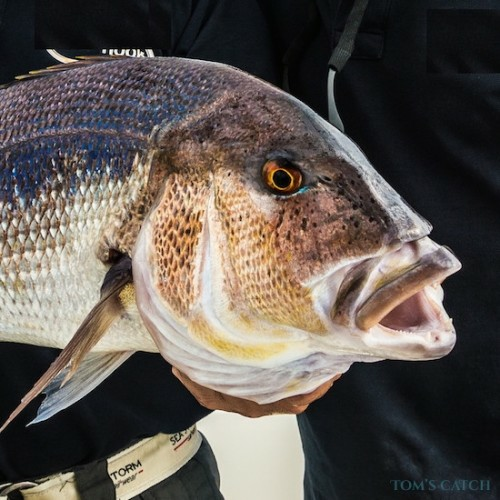 It is best to fish in sea bottoms of 30-50-80 meters; greater depths can also be fished, but the strong currents force us to use heavy jigs 350 grams and 500 grams. Spinning is also successful in this area. 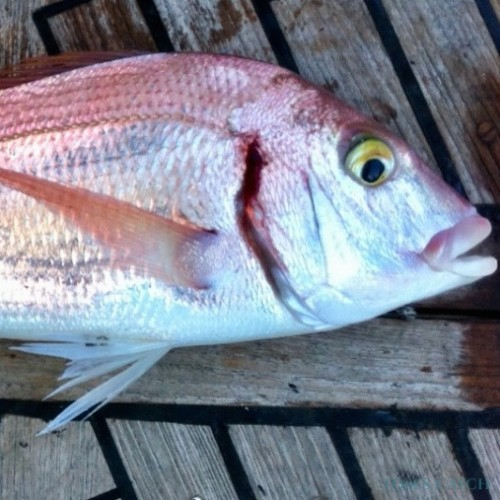 We have caught many nice Atlantic bonitos, amberjacks, and bluefish with poppers and other top water bait. 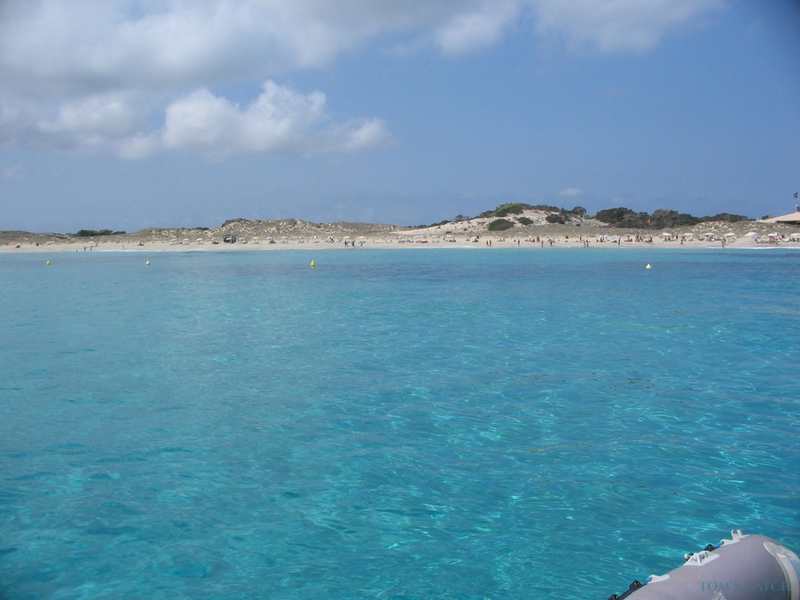 The Balearic Islands are an archipelago of Spain in the western Mediterranean Sea, near the eastern coast of the Iberian Peninsula. 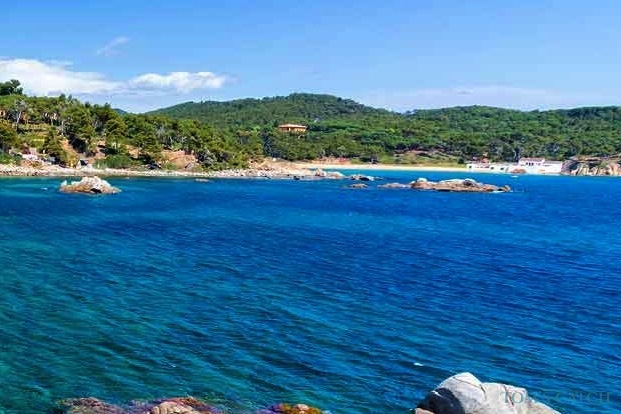 It consists of large islands called Majorca or Mallorca, Minorca, Ibiza and Formentera and several minor islands like Cabrera, Dragonera and S'Espalmador. They feature a rocky sea floor rich in fauna and flora, very interesting for fishing. 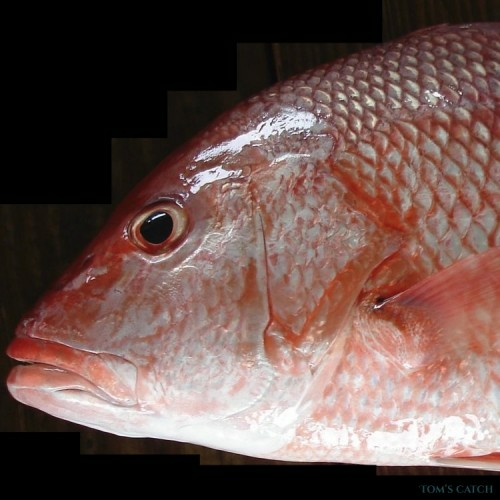 Main species are grouper, scorpion fish, red scorpion fish, conger, sea bass, guilthead and dentex. 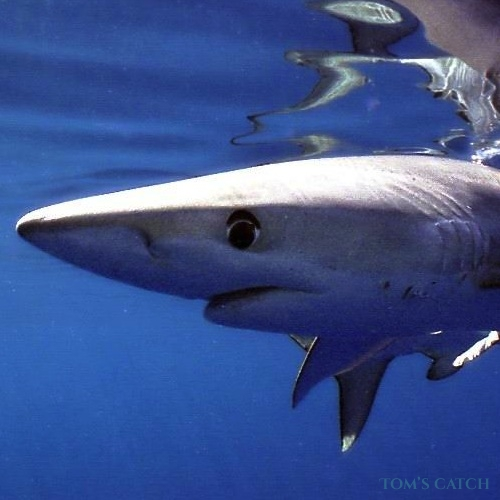 Off shore sport fishermen target blue fin tuna, albacore, swordfish, shortbill spearfish and dolphin-fish. The Bay of Biscay washes the shores of the Basque Country, Cantabria, Asturias and part of Galicia where the most popular fishing techniques is bottom fishing targeting seabream, pinto, wrasse, sea bass, mackerel, etc… Off shore you can catch albacore and bluefin tuna during the summer months. 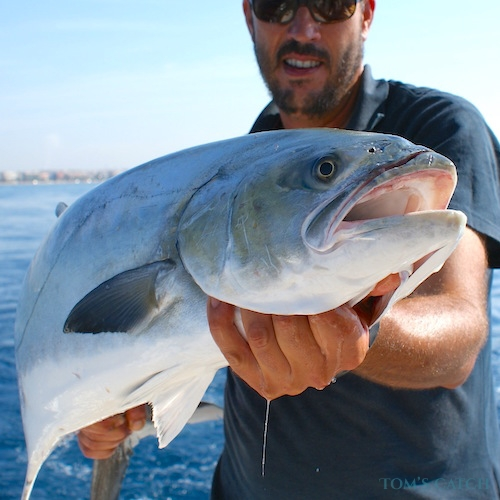 The 450 kilometers of coastline that separate Vinaros from Torrevieja offer so much to fish. 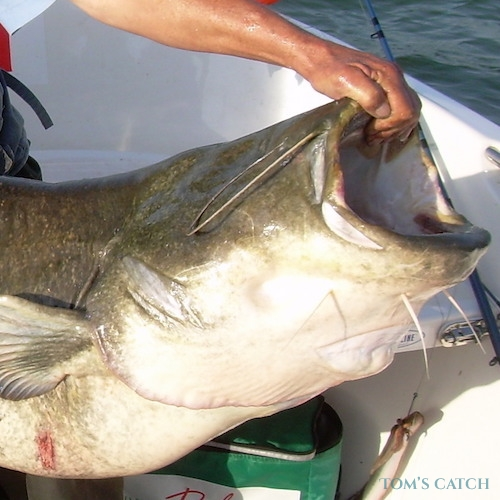 However, the epicenter of fishing in Valencia is Cabo San Antonio. 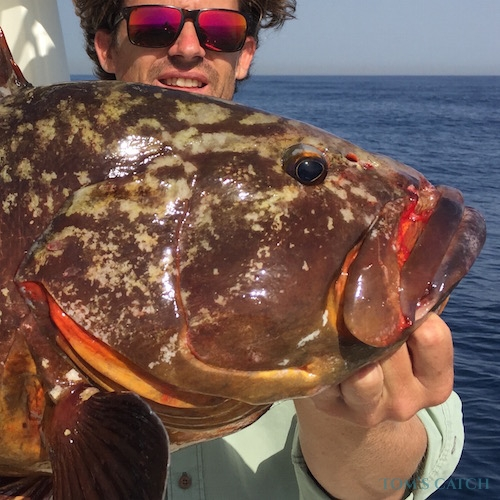 The respective fishing ports of Denia and Javea are strategically placed for big game fishing, deep sea fishing, sport fishing and deep sea trolling. 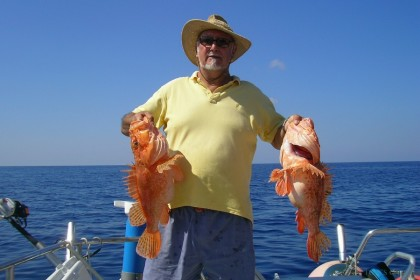 If you want to go fishing in Spain and combine this with you family vacation, the Costa Blanca is a great place to go! Diving, hiking, horse riding, cycling, nature parks & wildlife, theme parkes like Port Aventura in Salou (Costa Dorada), wine tasting, birdwatching, surfing, kite surfing, wind surfing, sailing, football, shopping. Visit the extensive National Parcs of like for example Doñana, Teide in Tenerife, Picos de Europa, the parcs in the Pyrenées or the Ebro Delta. 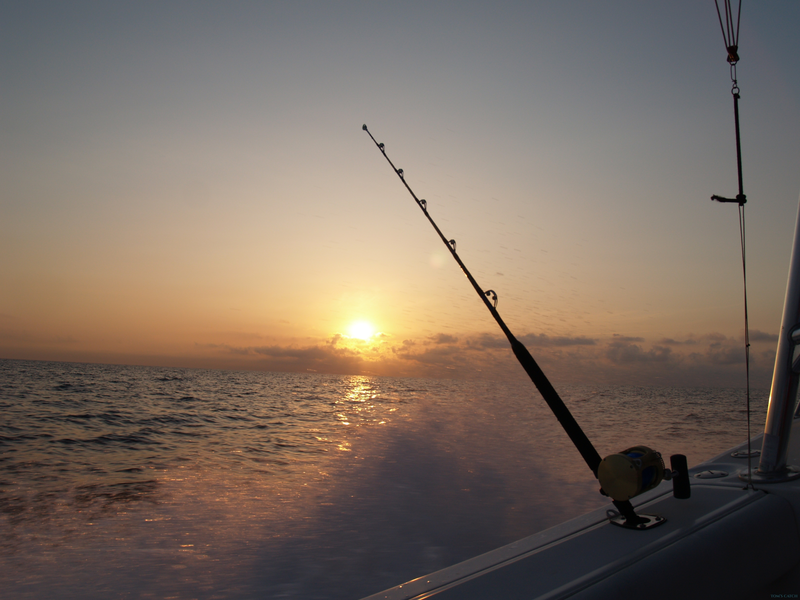 You need a fishing license to fish in fresh water and salt water. 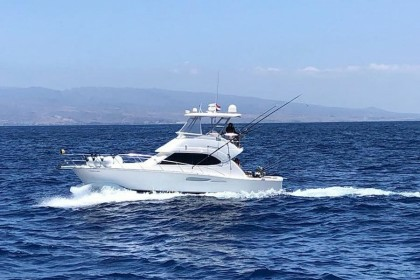 The fishing charters and fishing guides in Spain normally have the fishing license included in the price, so you don't need to buy one if you're chartering a boat. located in the world’s best fishing areas. which we have worked closely with for many years. Booking is easy and safe. You only pay a small deposit once the booking has been confirmed. Captains & guides set their prices directly. We love to hear about your great experiences. 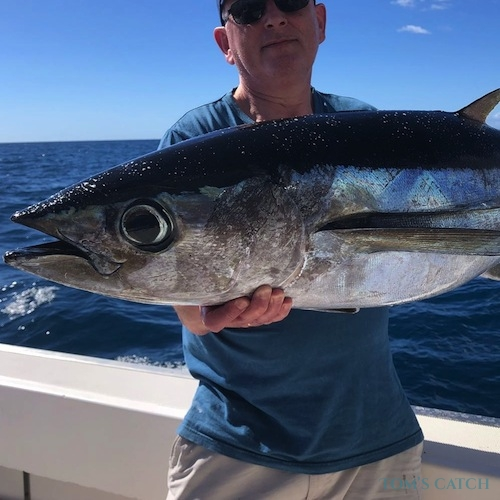 Want to increase bookings for your fishing charter? 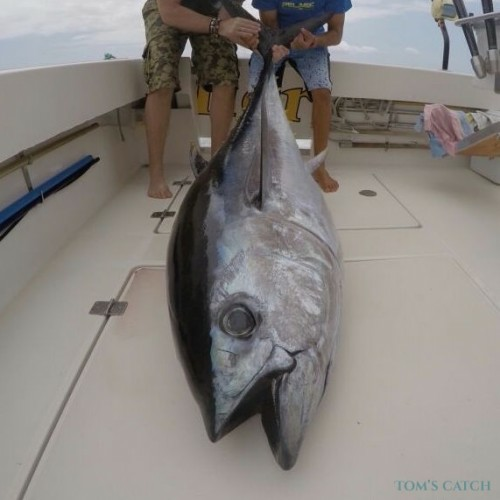 Tom’s Catch is your expert. We’ll help you have a higher visibility for free. Oscar Santos, captain from Luna in Marbella.